We love to get into the festive spirit in the lead up to Christmas and 2017 has been another exceptional season for us, raising charity funds in several venues. 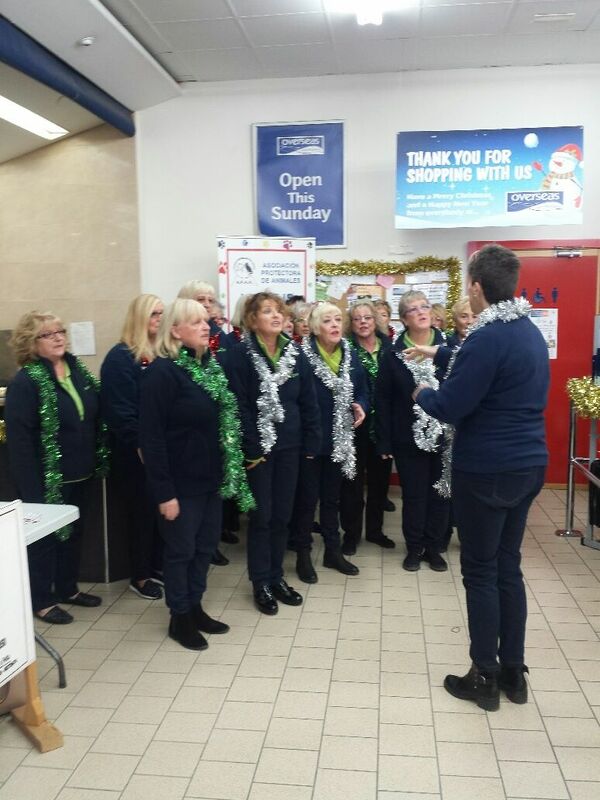 “This has been our busiest year yet for requests to sing at people’s Christmas celebrations” said Wendy Grant, Chorus Musical Director. 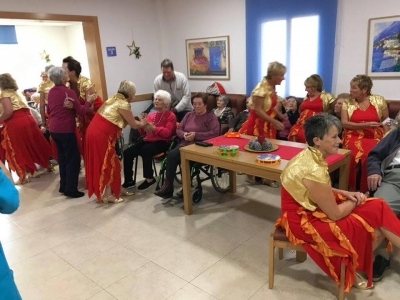 The holiday season started with three events – the first at the Spanglish Bar in Balsicas, with the ladies helping turn on the Christmas lights. 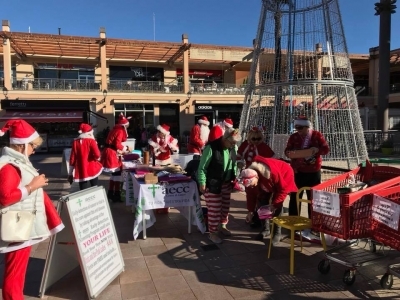 This was swiftly followed by a Christmas Fair at the Iceland in San Javier, raising money for APAH animal rescue charity and a Singout the following day at La Zenia Boulevard, supporting the Pink Ladies’ Santa Walk, raising money for the AECC. Four days later, they were singing at the Nosmo King function at the Restaurante Paraiso, Torrevieja. They had their traditional Christmas lunch on 14 December, but it wasn’t over! 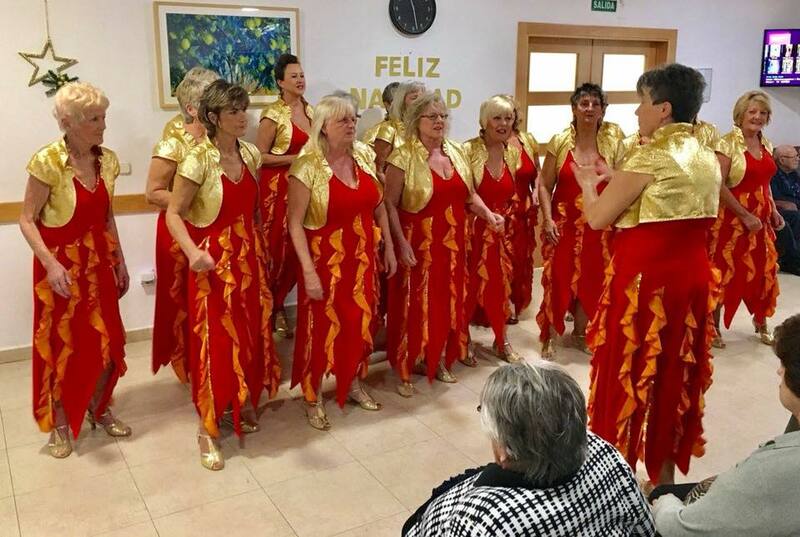 They had been invited back to the C Breeze Cocktail Bar in Playa Flamenca to help raise funds for charity. 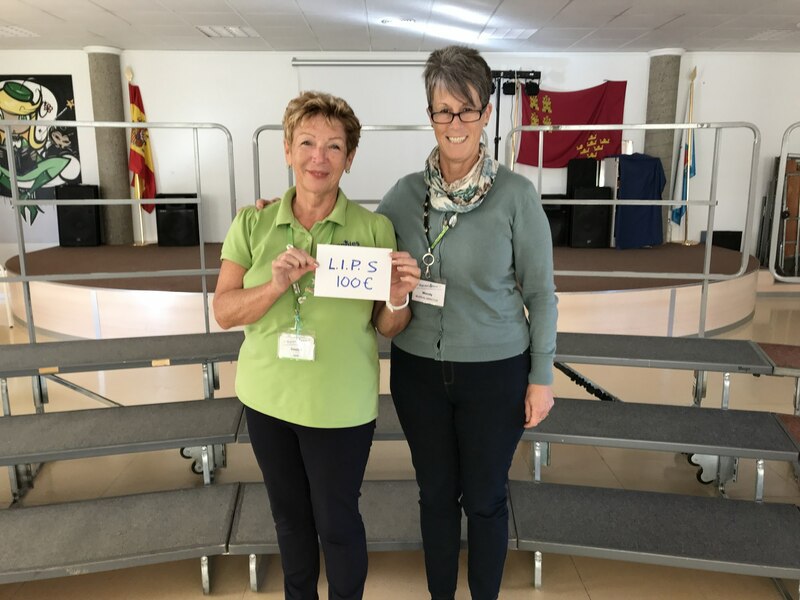 They raised 200€ and nominated Los Hermanitos Children’s Home in Altea and Los Infiernos Perrera Supporters to receive 100€ each. 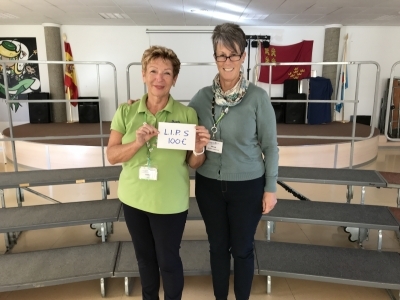 The children wanted a new TV and it was plain that 100€ would not be enough, so the chorus members rallied round and chipped in. 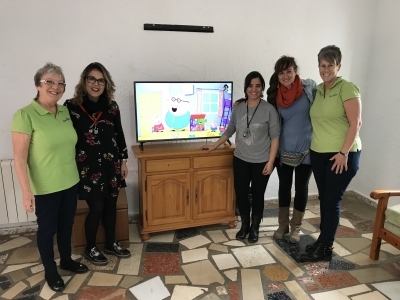 Wendy and Lyn went to Altea on 6 January to present them with their new TV, much to the delight of everyone. 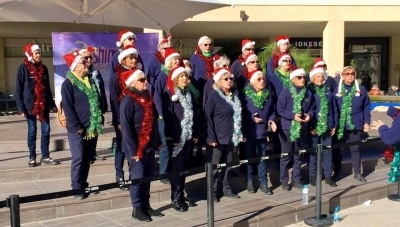 2018 looks like being another busy year for Spangles who will be straight back into rehearsals at Las Claras, Los Narejos, Los Alcázares in January, as they get ready to compete in the Spanish Association of Barbershop Singers’ (SABS) national chorus contest in April. Are you looking for a New Year resolution? 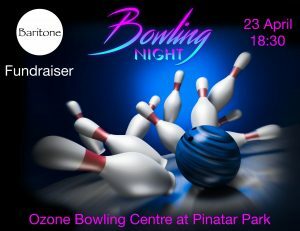 Want to meet new people? Sing a bit? Fancy joining this champion chorus? 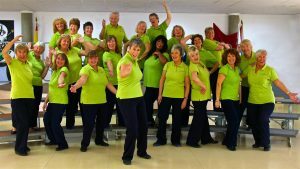 Spangles always welcomes new members and it’s a great way to make new friends, so why not visit when they rehearse at Las Claras from January onwards? The group meets every Thursday from 10.00 am to 1.00 pm. 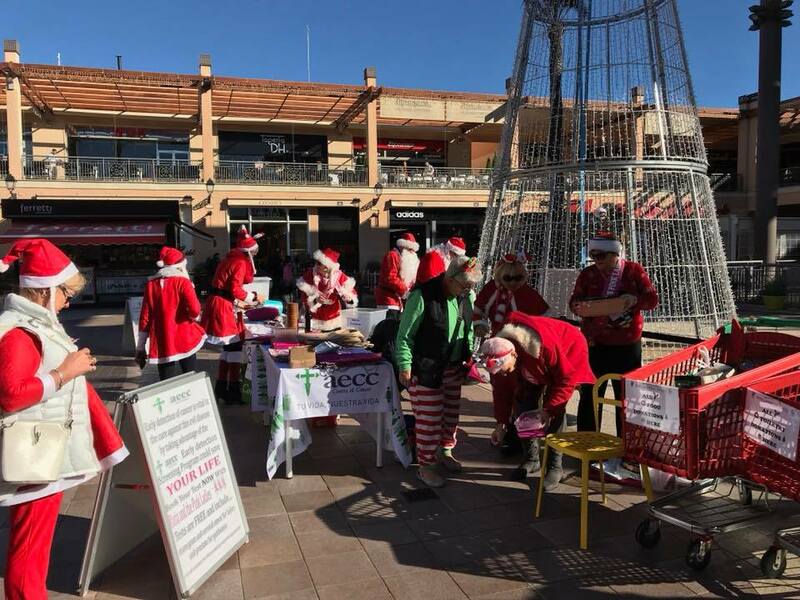 Next article:Spangles Loves Paying It Forward!